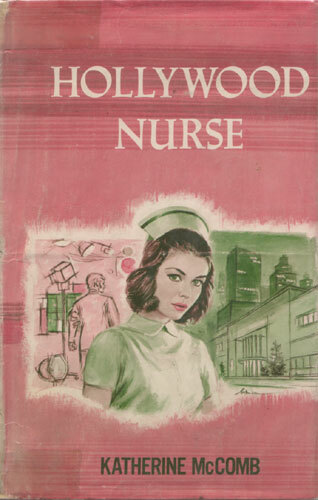 Six months before, Trudy Wellington had left Texas to assume a nursing position at Hollywood Hospital and had moved in with Lynn Larson, another nurse, in Lynn’s apartment in the Valley. Both girls enjoyed each other’s company, and they even worked the same late-night shift. All in all, dark-haired Trudy considered herself a lucky girl. Then the devastating California earthquake struck — and after hours on end of calming the patients and attending to the injured brought into Emergency, Trudy learned that her apartment building had been demolished. At this point, she was near collapse, and handling the emergency cases with the testy young Dr. Peter Marshall had not helped to steady her already overwrought nerves. It was Susan Harding, the lovely blonde actress, who came to Trudy’s aid. Susan, a patient who had suffered a leg injury, insisted that Trudy and Lynn make use of her empty Santa Monica home for the time being. Trudy was hesitant about accepting such a lavish offer, but Lynn was eager to be among the movie-star set — and they did need a place to stay. The unexpected occurs more often then not as Trudy is introduced to the world of filmdom, a world removed from hospitals and doctors — and where she soon learns that the world “love” has a different meaning from her own.